I was driving down a construction road where two lanes were broken down to one. I was stuck behind a Jeep Cherokee while it was dark outside and they were going about 40 miles per hour. All I could think about was how bad I wanted to get away from this car. When the lanes finally opened anger washed over me as I realized there was nothing in front of this car preventing them from driving faster. I began to wonder why it bothered me so much and faced the realization that I felt trapped. I had no where else to go. 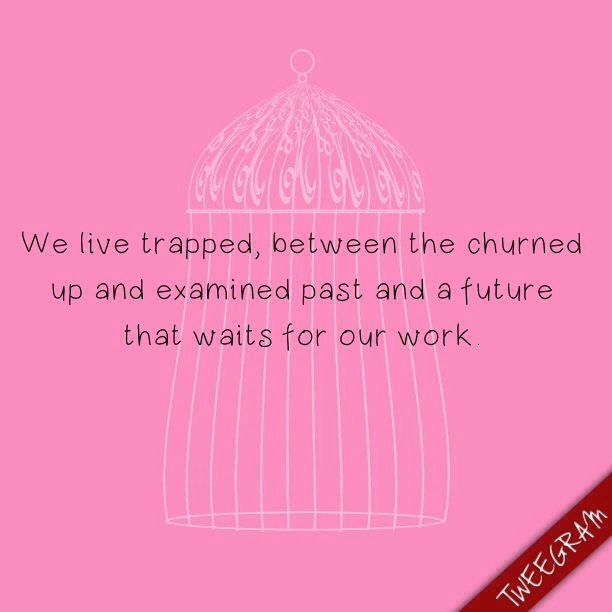 As that thought lingered, I realized how in life I reject the idea of feeling trapped, by circumstances, money, space and even time. Now, I firmly believe that these are both realistic goals, but does setting a potential date set a timely trap? Will I cause myself undo stress as the deadline approaches. This weekend, while working, I was in deep thought about where does my future go from here. Professionally, I always said I wanted to work with students like myself and that dream has been achieved. Working with students, preparing them for college is an amazing opportunity that, while it consumes all of my time and can be extremely challenging both mentally and physically, I love. But what is the end goal? I am from the generation where we aren’t satisfied doing the same thing day in and day out for 20 years. Granted, students bring a different perspective each year as they change and times change; it would be crazy to be in this rat race forever. Everyone always ask when is the doctorate coming, and while I never considered it in a past life, after my MA it was always a distant thought. But working in my office now it is strongly encouraged. The problem, I think, many students who come from my walk of life struggle with is that sometimes we can’t see beyond the now into our future. In my case, I’ve been debating the Ed.D versus a PhD. Me and Jess have had the discussion and the outcome is always just go for the PhD. I struggle with this decision because I don’t clearly see my future. What is my end goal, and that blurriness will lead to a feeling of stagnancy (trapped) that I will eventually tire from. So yes, a goal of working in higher education in California is reasonable, it doesn’t have the clarity and vision I’d like to have before pursuing something so life changing. Or am I comparing my goals to others I’ve seen set and making accommodations for that? While watching Hungry for Change they talked about the importance of visualizing your goals, whether its health and fitness related, because our sub conscious communicates with images and symbols. I thought it interesting because I’ve been constantly putting off my vision board I’ve wanted to create, so I think I need to get on the ball so I can stop being trapped by my lack of vision and get my brain and sub conscious communicating better. I would like to find a way to escape the trappings of my mind that come from negative thoughts and self doubt. I can visualize it, way better than faking it til I make it. Now I realize why inspirational books and “self-help” exist, because the journey to happiness and being the best you is about constant change and growth. To do that we have to deal with the uncomfortable inside is and break out of our boxes and since communicating this is often hard, the experts know.